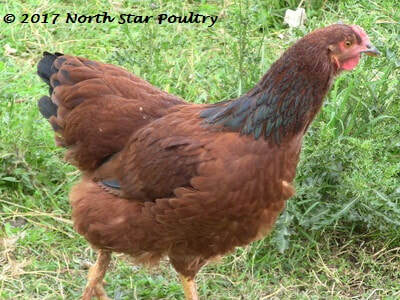 ​​ Of all my Star varieties, North Stars may take the prize for the most personality. 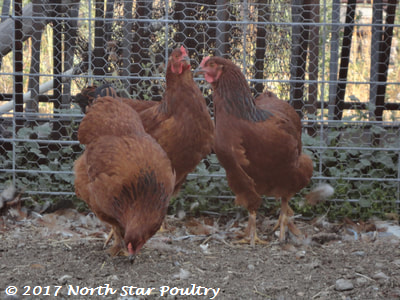 They are friendly and enjoy "conversations" with the nearest human. 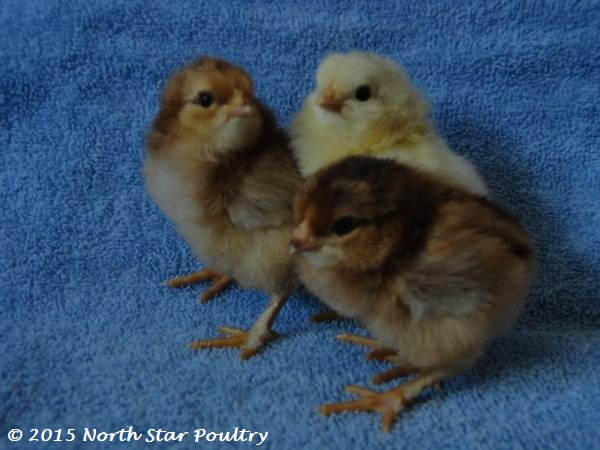 ​ Chicks are very fluffy and buffy-red colored, usually with dark-brown stripes on the head and back, and cute downy legs. 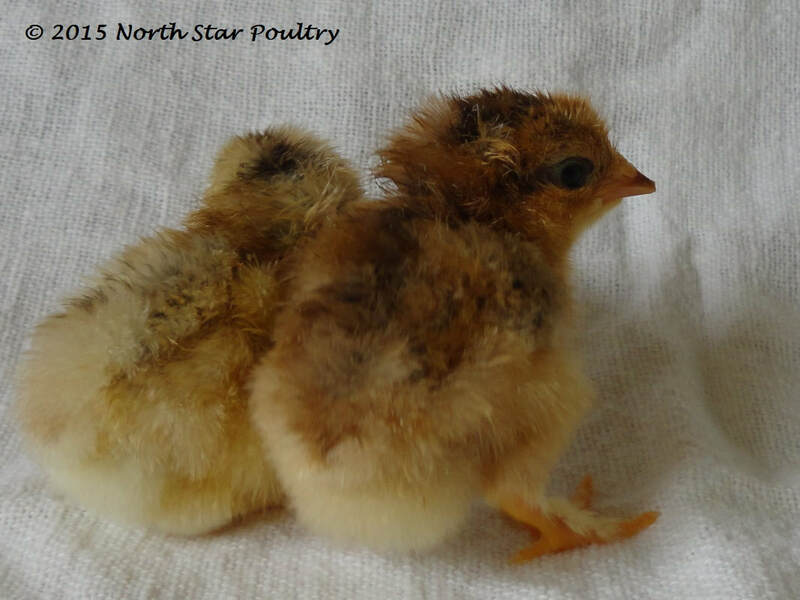 We call them "Teddy Bear Chickens" for their brown fuzziness. 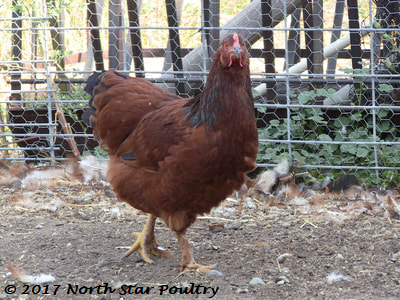 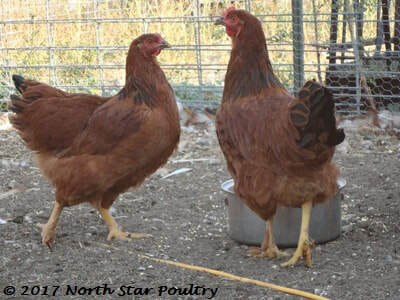 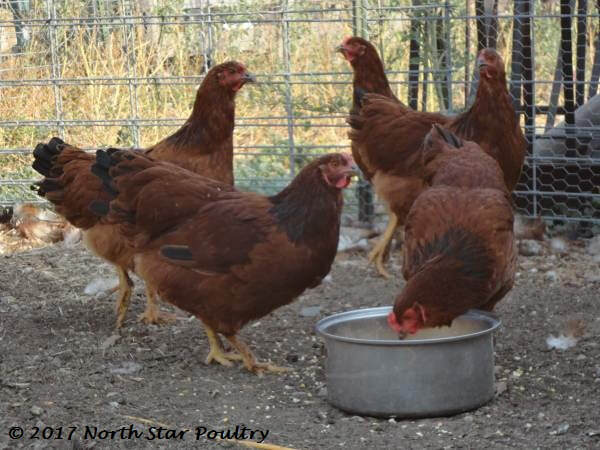 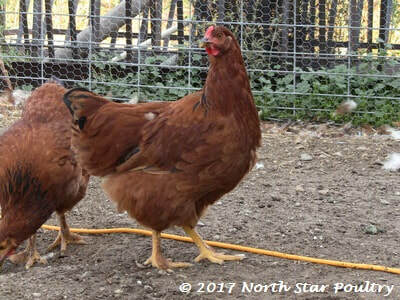 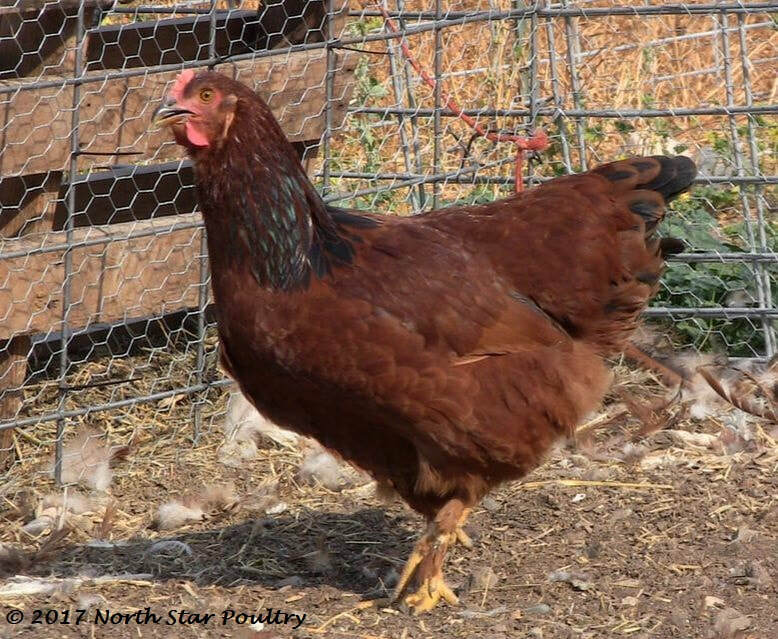 ​ North Stars mature into substantial-sized hens with cinnamon-brown coloration and glossy black markings on the neck and tail.